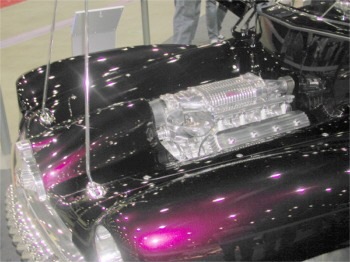 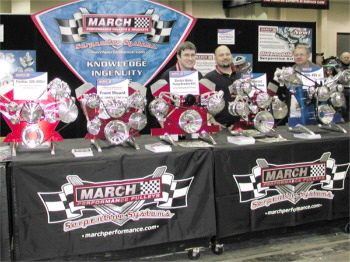 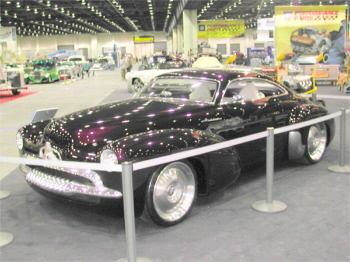 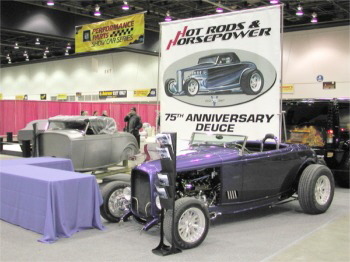 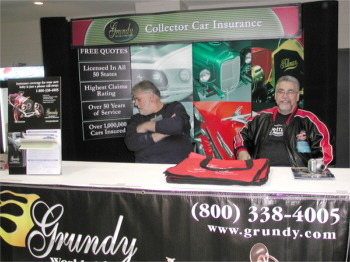 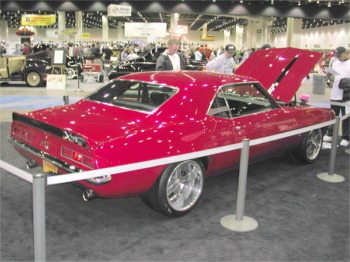 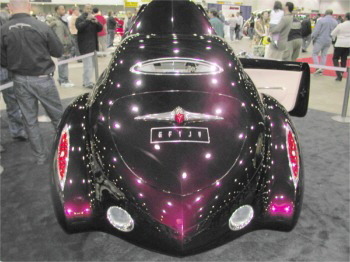 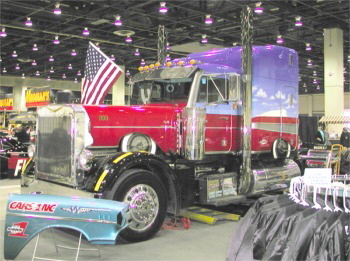 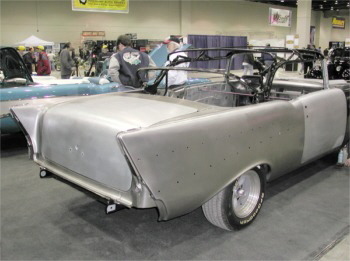 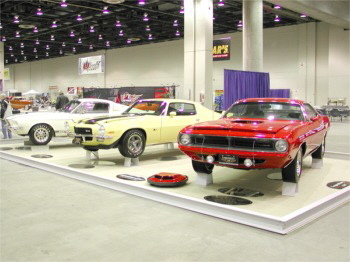 The many vendors at the Detroit Autorama always bring some nice examples of their work and interesting displays of their product offerings, and this year was especially good. 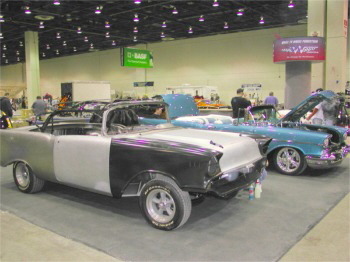 CARS, the major supplier of 1957 and tri-five Chevy parts, is now reproducing a steel 57 Chevy convertible. 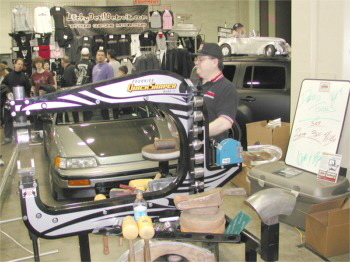 Since the real thing has skyrocketed in cost, it is now possible to build a custom one without ever using any original parts. 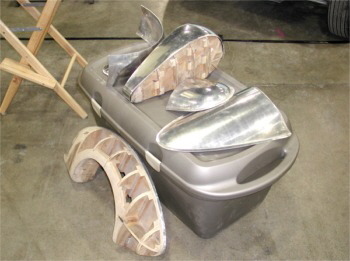 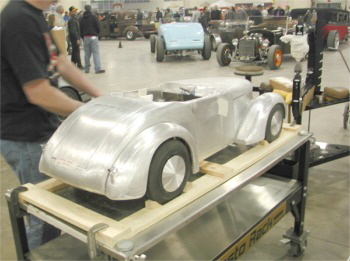 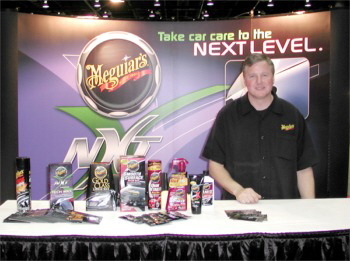 This ensures that this car will be around for many years to come as material for the latest in hot rod building. 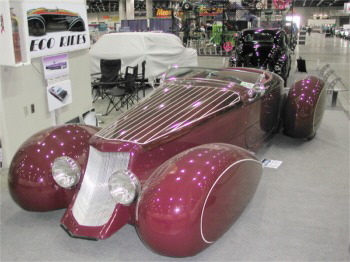 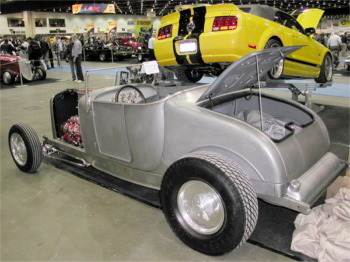 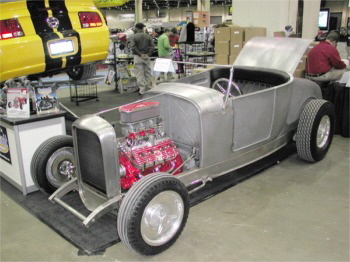 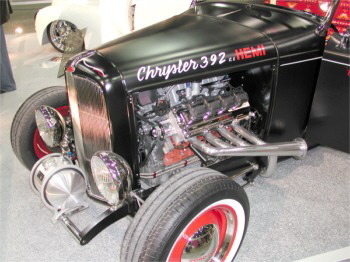 Again, there are several vendors of 1932 Ford roadsters in steel and fiberglass, many offering write-the-check, turnkey vehicles built to order. 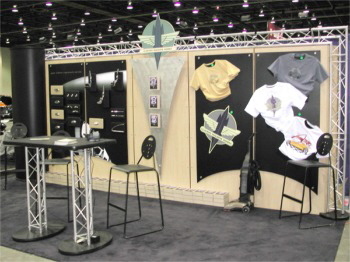 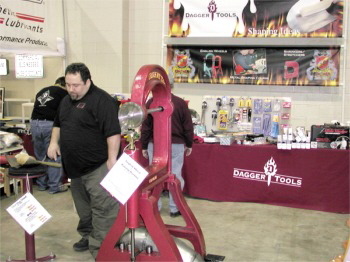 Several suppliers of tools and training for metal shaping had displays, including the renowned Ron Fournier. 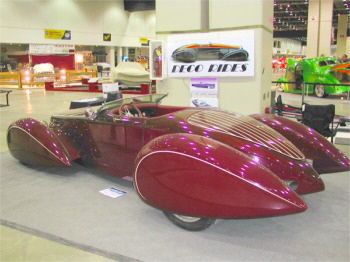 The Big 3 OEMs had some nice displays including the fabulous Australian Holden Efijy concept car. 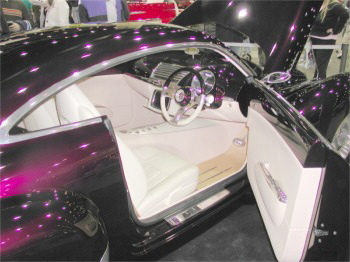 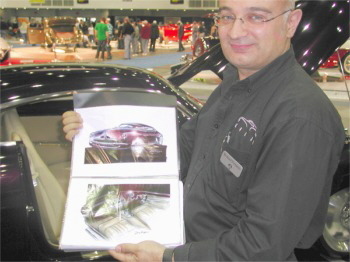 Design Rich Ferlazzo brought along a notebook with original sketches that resulted in the stunning car show both here and at the North American Auto Show in January. 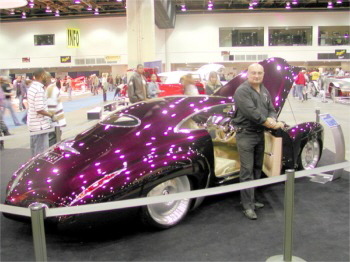 What was really great was the fact that the car was on the floor, where you could get a much better feel for the beautiful surface development and proportions. 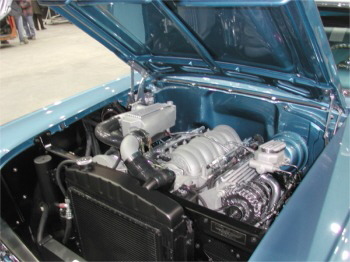 GM also had numerous other vehicles and the latest in engine hardware. 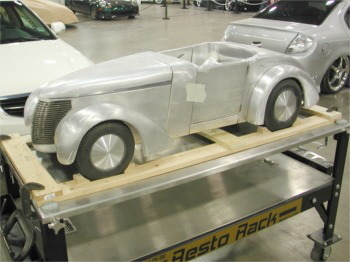 Chrysler had the Dakota show truck concept from a few years ago, which has aged really well and looked as tasty as when it was first introduced. 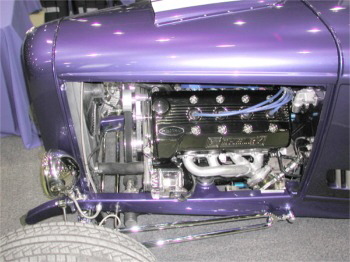 Ford also had a number of nice cars on display along with their extensive line of SVO parts of interest to the rodder. 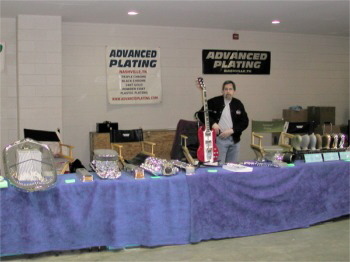 Other notable suppliers included the always strong support of Barry McGuire’s Mirror Glaze franchise, John Hall’s new enlarged steel 1927 Ford T roadster on special 32 Ford rails with the aluminum Motor City Flathead, Rutter’s Rod Shop of Kalamazoo, and Hot Rods & Horsepower 32 Ford Roadster, and of course, the folks at Reliable Transportation, the best at shipping cars cross country. 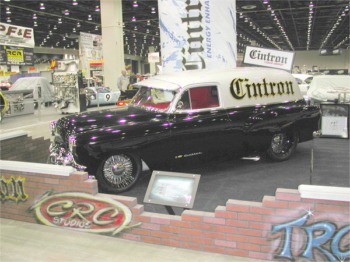 CARS, the major supplier of 1957 and tri-five Chevy parts.